Roads are one of the most profound disturbances on watershed function and health. Many roads were built either according to the “grid system” or by following old wagon tracks; they were not designed with their effects on the watershed in mind. Poor road location and drainage can cause gullying, bank erosion, and flooding in the nearby arroyos and streams. Proper road location on the landscape can make an impact on safety, maintenance costs, driveability, and erosion. 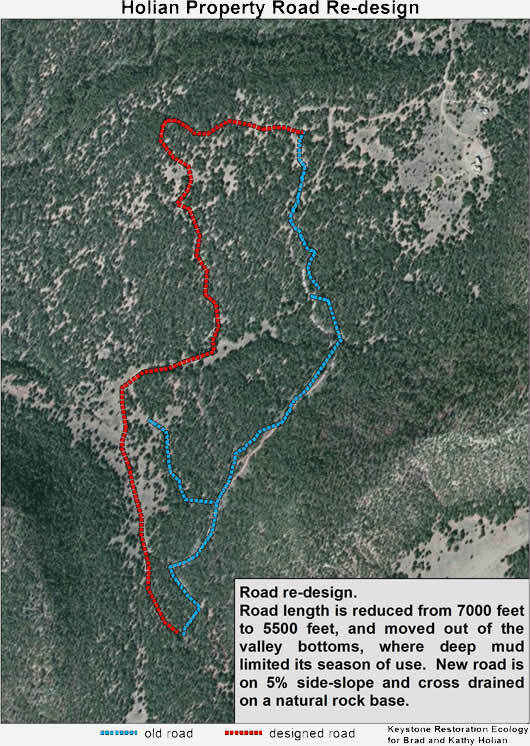 KRE’s holistic design approach and road drainage techniques offer solutions to existing problems and can avoid unnecessary future costs. "Steve was very helpful, thoughtful, and always conscientious. We highly recommend his work, for quality, innovation, and timeliness." 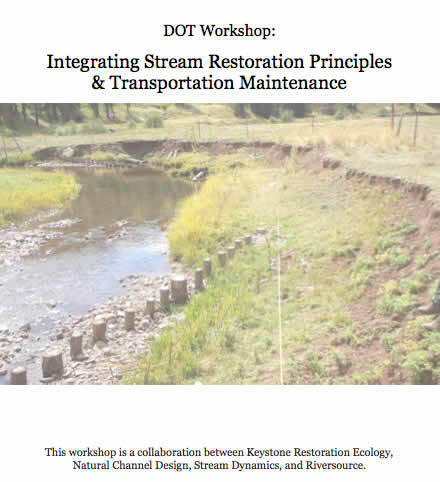 Steve Vrooman of KRE was one of the instructors at a workshop titled “Integrating Stream Restoration Principles and Transportation Maintenance” given for the New Mexico Department of Transportation in May 2013.